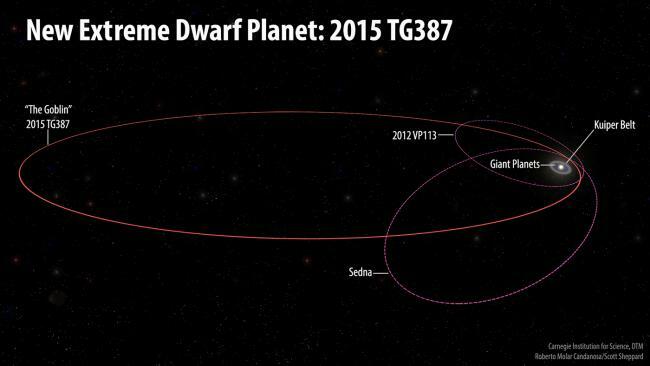 The newly found object, called 2015 TG387, was announced Tuesday by the International Astronomical Union’s Minor Planet Center. ... 2015 TG387 was discovered about 80 astronomical units (AU) from the Sun, a measurement defined as the distance between the Earth and Sun. 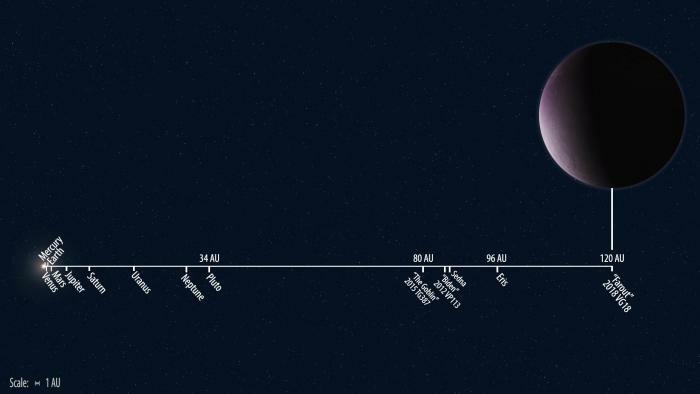 For context, Pluto is around 34 AU, so 2015 TG387 is about two and a half times further away from the Sun than Pluto is right now. Farout on the heliosphere BUBBLE! Credit: Scott S. Sheppard/David Tholen. Discovery images of 2018 VG18 “Farout” from the Subaru Telescope on November 10, 2018. Farout appears to move [thanks to Earth's own movement] between the two discovery images while the background stars and galaxies do not move over the 1 hour between images. Orbits of the distant Kuiper belt and Planet Nine. Orbits rendered in purple are primarily controlled by Planet Nine’s gravity and exhibit tight orbital clustering. Green orbits, on the other hand, are strongly coupled to Neptune, and exhibit a broader orbital dispersion. 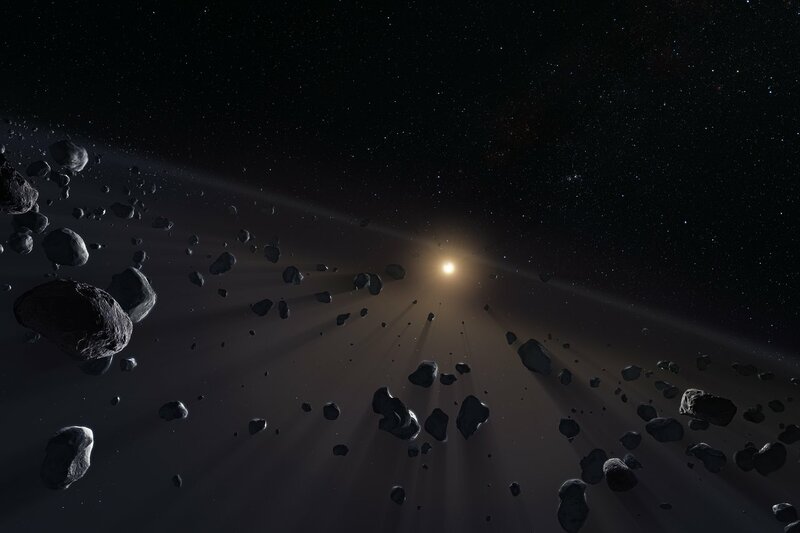 Updated orbital calculations suggest that Planet Nine is an approximately 5 Earth mass planet that resides on a mildly eccentric orbit with a period of about ten thousand years. Image credit: James Tuttle Keane/Caltech.